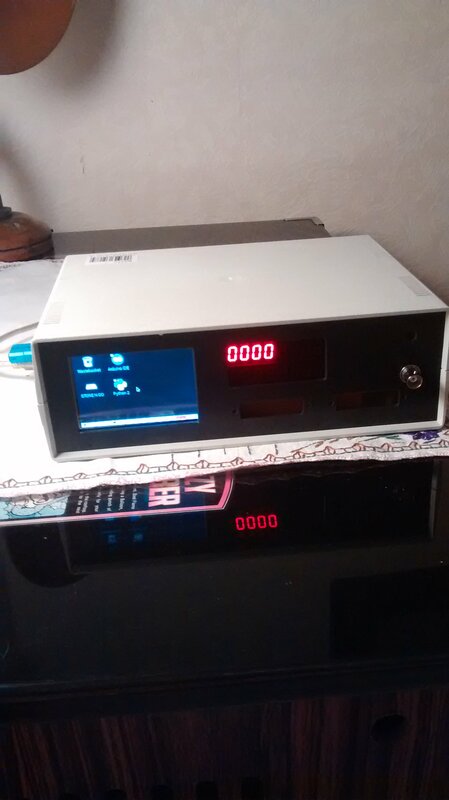 Well I finally started to build my Cheapo fluke emulator into a case today. Still working on it but so far it will do most essential stuff for a 8080 and a Z80. Thought I would share it on here. When I have got it all together I could prob make more up for a reasonable price if anybody wants a good debug tool but cant afford the flukes. Thanks. I know others are working on similar arduino based emulators on here but I started this without knowing and developed it to debug the space invader boards I had. Its since fixed frogger and is growing arms and legs. I picked a Raspberry Pi as I could use that as a front end for the Arduino code. Up to that point the arduino executed a list of commands via a terminal, but that was getting tedious so a Pi has provided a simple output. 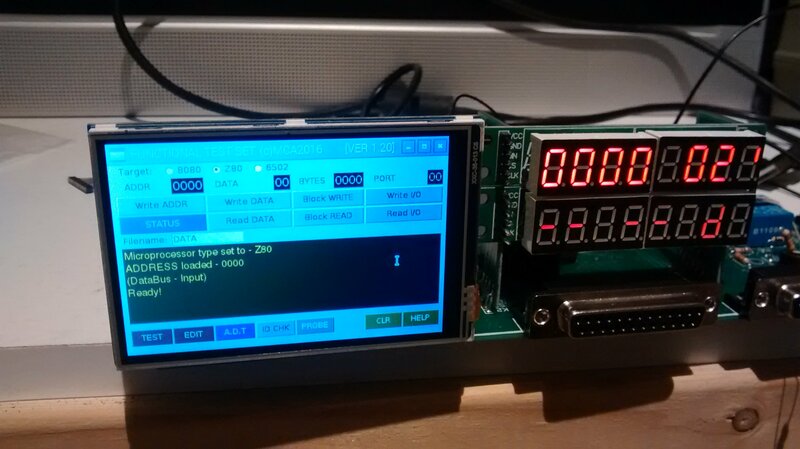 Stick a 3.5" display on it and some LEDS, and now it is a decent bit of kit. Still got the interface connectors to wire up and a few other things but getting there. 1) Create a static address bus with any bit pattern for tracing stuck address lines etc. 6) Performs a shift test on Space Invaders boards. 7) Writes a Block of data. 9) Can load a block of memory into a datafile. Im working on it to create a BIN file directly and either send it over WIFI or onto a memory stick. 10) For space Invaders it will clear the video RAM and write any characters or strings to it. The above list is current and has helped me debug a few boards so far however its only the start as Im working on other things such as a audio probe and logic probe etc etc. Processors will be switched by simply clicking a box to select them. I cant justify a fluke but this probably is the next best thing hopefully. I'm working on DEC T11 at the moment but after that I have a probe head with cut tracks ready to use with 8080. Thanks Paul. I know you have been working on something similar. Im still learning as a I go along since not programmed for years so now getting into C and also Python. Its coming on well as Ive now wired the connectors up and bolted it all together. Its an ongoing project but getting used as well. Still working on it. Today I fitted a probe so it now has a built in logic probe that can be switched to audio for probing sound as well. Once Im happy its working well, I will prob offer them for sale at a figure yet to be decided. My aim is to make a unit which will be a standalone debug station for variety of boards. Other ideas I have is to make it read and write eproms etc etc. where abouts in Glasgow are you Grobda? Maybe we could meet up and you can see it in action? Hey Hurraybanana. Once Ive got it stable and doing what I want then definately mate. Its quite labour intensive to build but then this is the first one. I have been using it strewn around my desk for a while now but putting it in a box had made it look pretty decent I think. If I do make more up to order, then a full operating manual would be provided plus software updates as really the hardware all works its just down to software now. Great project - love stuff like this. That's a pretty neat looking piece of kit! Amazes me how clever some of you lads on here are. Another update on this project. I've now added a full function probe arrangement. When set to digital, it will display either Low or High for the logic levels. No problem I hear you say, except this will also show Floating pins, duty cycle and also a indication on what type of signal its seeing. So without using a scope, you can see whether its active low or high or more a clock pulse. Couple of pics in action. 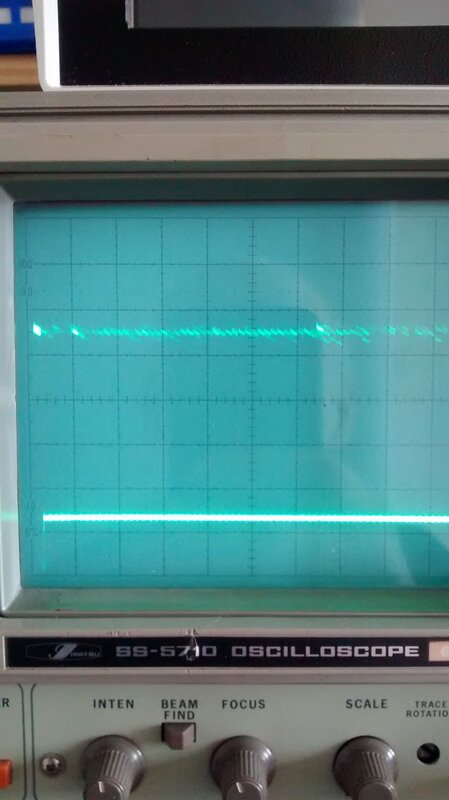 On the left is the signal probed using a scope. 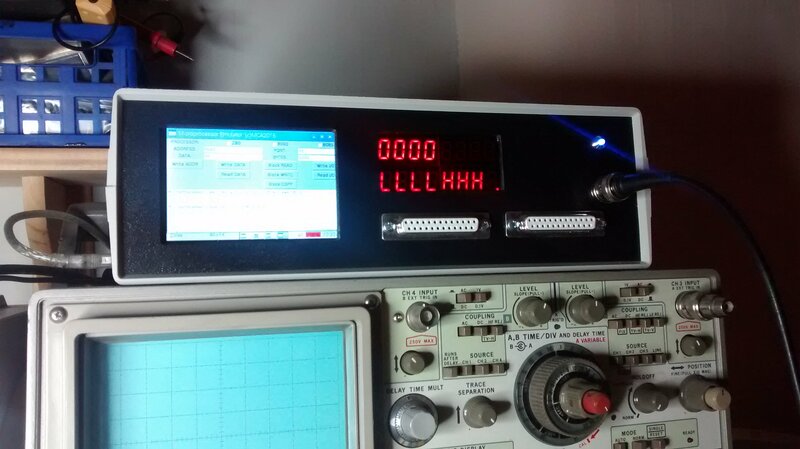 On the right is the same signal probed with my tester. Reading the display from left to right is as follows: Duty Cycle in %, Type of signal. (Active High), L indicates its a Logic probe and the last o is the activity indicator. One the top line, the first 4 digits are the address and then data is displayed in the right two digits. At the moment no data is present and the address is set 0000. 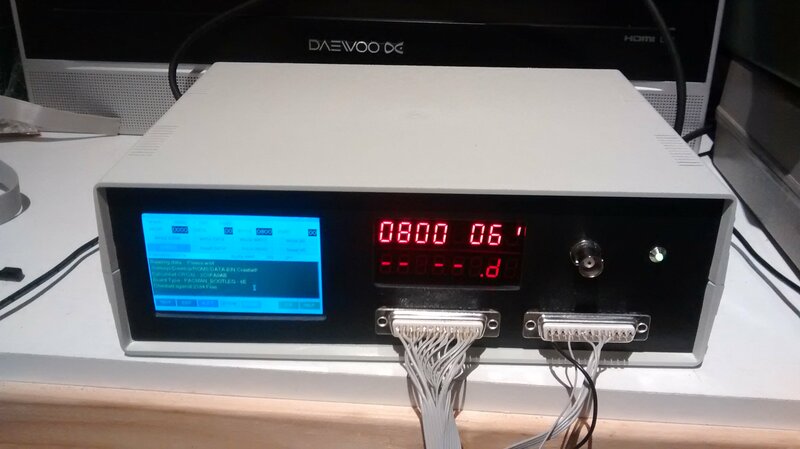 If the probe is set to analogue, The display changes to display the measured voltage plus a selectable amplifier is engaged to probe for audio signals so tracing sound faults is possible too. I have decided that I will be building these to order if anybody is interested. Price has yet to be set as need to work out materials and labour. Bit more progress has been made on my Functional tester. Ive now added a full test screen allowing test sequences to be stored in files for different boards. Once stored, they can be loaded back in and run as single tests or as a full test sequence on another board of the same type. If a test fails, debug info is then provided. Additional commands can be added in to set addresses or data buses etc. Cheers mate. Ye growing arms and legs! wow impressive stuff and definitely interested in whatever comes out of it! Probably in a few months I will have them ready to be made to order. My plan would be they come with a full instruction manual. Bit more software to sort out but it is basically working atm. Im using it already to debug boards so its getting a good test. 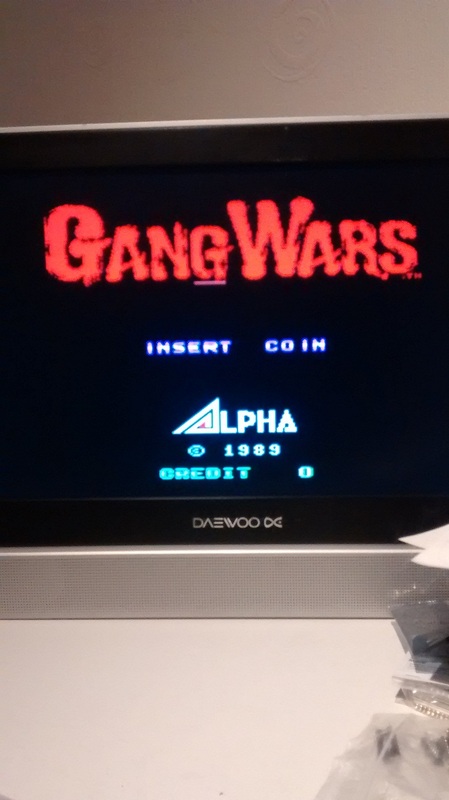 Been working on a Gang Wars board recently and had an issue with VRAM failing the self test. Out of three VRAMS, only one would consistently pass. Decided to use this Functional tester that I've developed to see if I can find the fault. First thing I did was create a test sequence for the good VRAM. 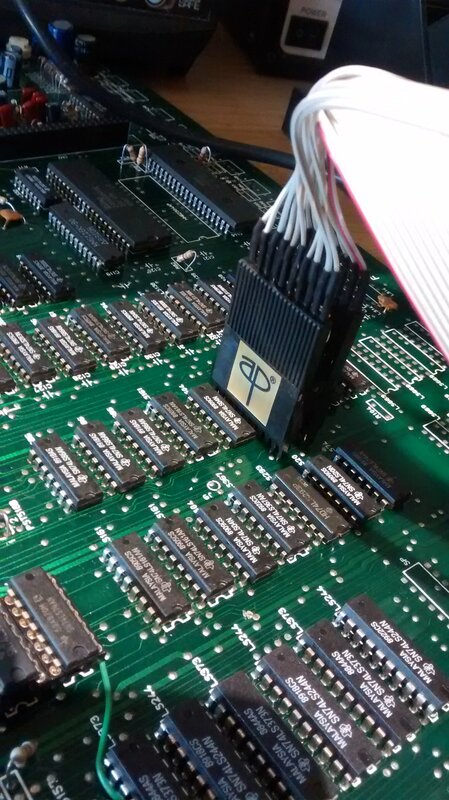 I already knew which chip that was so simply ran the tester on each pin from 1 to 28 and stored the file. I simply placed the probe on each pin while the tester stored the data from it. Each pin was labelled up and basic device info added. 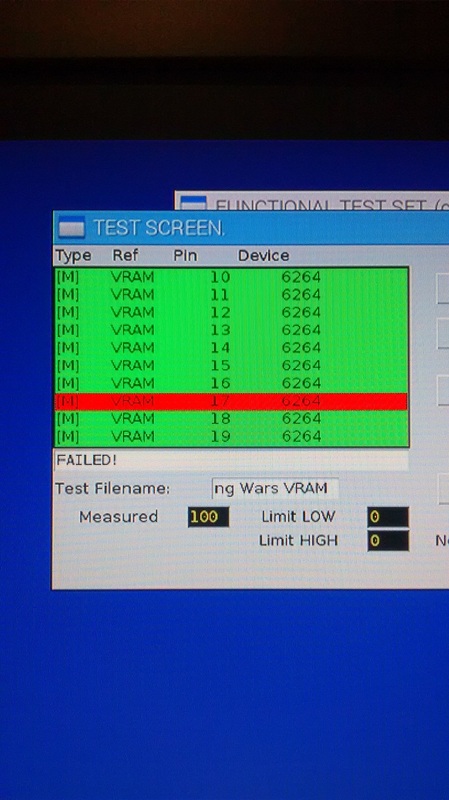 Next I ran the test on the good chip and it passed all pins. Tjis proved the test was repeatable. Running the test on the other two devices showed up pin 17 as a consistent fail. Other pins did fail but retesting the pin mainly passed, but pin 17 on both refused to pass as can be seen from the screen shot. This was tidied up but it did get the board booting. Success well for some part as now I have sprite issues but at least its now reliably booting up and running the game. The conclusion of all this is that my tester has proved itself once again that it can identify hard to get faults. Sure probing around with a scope wud prob find it but this made the fault finding a lot quicker and as you can see, found the pin instantly. Will keep this post updated as time goes on but it looks like this tester is proving itself slowly. Will be making these to order later on so anybody interested then let me know guys. Few things to iron out yet but its working so far. Excellent mate, great effort you're making with this bit of kit. I have an Odroid C1 and a phone. Can't I just buy it as an "app" so I could skip the box? Tune in for another update on this tester chaps. Despite being pretty hectic with work, I have now added another feature to it which mainly was for my benefit but has proved to be a useful add on. One problem ive had over time is how to tell if a TTL logic chip is working properly or not. Sure it can be tester by logic probes or scopes but ultimately the device is removed and another fitted, often with no real change to the board. Stuck pins are common and sometimes inputs cause issues. Anyone that debugs boards will know this. Piggy backing sometimes works but it can be a slow process. This tester apart from everything else it does, will now test most TTL devices on the board while the board is powered up and running. It wont affect the boards operation but will clearly show whether the device passes the truth tables or not. If it fails, a little work is needed in checking the results but if they look ok, then the tester can learn and then get better next time. It will also check for stuck pins and show tied ground pins or pullups. All data is stored in files which can be backed up on usb sticks etc. Ive added a few pictures showing the screen shots of it in action. Test clip over a chip. The clip is a 20way which covers most TTL devices. 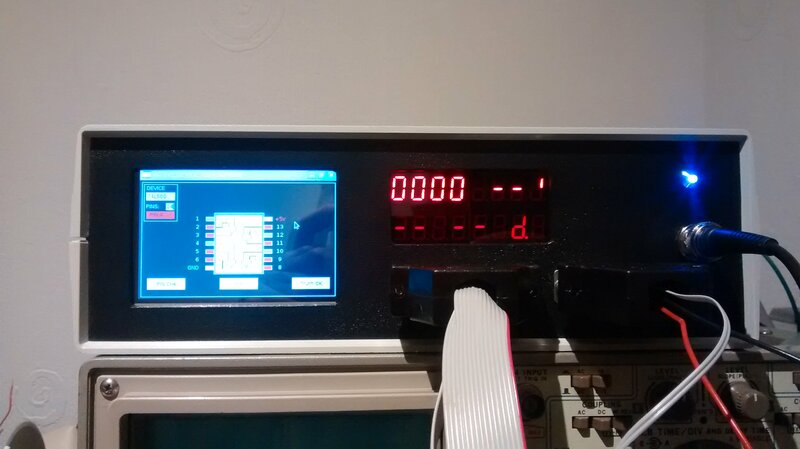 Front of the tester showing the Active Device Test screen. Ive called it this as needed to think of something lol. 1)	Actively test most TTL devices on the PCB without affecting the game running. Clocks may be slightly bothered due to the additional cabling. 2)	Simulate a Z80 or 8080 processor allowing full data and address control. More can be added as software is improved. 3)	When using the processor connection in 2 above, ROMS can be read and dumped into BIN files. 4)	Memory maps can be interrogated allowing vital select lines to be toggled. 5) Some RAMs can be written to and read. 6)	I/O ports can be checked. 7)	Audio signals can be traced using the probe. 8)	Built in logic probe clearly showing the state and duty cycle of any pin. 9)	Test programs can be generated using a known good board and then applied to faulty ones. Helps identify faults quicker. 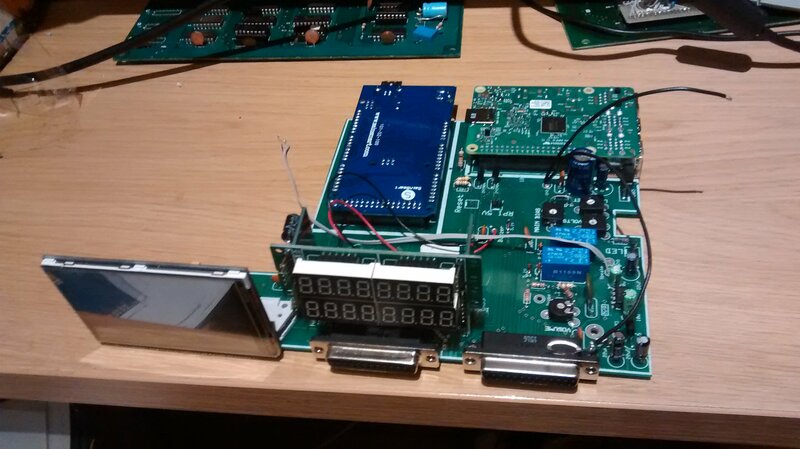 Future improvements will include a 2716 and 2708 eprom programmer plus more things as I think of them. This has developed due to my need to debug Space Invaders etc and has so far helped fix three boards. It is intended to be a stand alone unit which without much technical knowledge allows someone to trace faults. No scope etc is needed but obviously it should be regarded as a tool and hence schematics and some level of skill is needed to take the information it gives and apply it to tracing the faults. Its an ongoing project so improvements are happening all the time. Depending on the interest this gives, I will be looking to make these to order. The unit will include a Pi3, Arduino, LCD touch screen, and IC tester pod. A manual will also be included and details on all the front connections so the processor connections can be easily made. Aiming to use a two sided PCB as the unit I have is wired manually and a mess tbh. Estimated cost atm is £350. Mark you had my money when you first started posting progress, but this is turning into an amazing piece of kit mate. Cheers mate! I will do another post soon with details on cost etc. I've sent you a PM about this but I just wanted to add how easy it can be sometimes to miss posts like this on the forum. This is a project I that, along with the arduino in-circuit tested can be a life saver for boards. Repairers, like myself, should not panic but embrace these tools. You might be able to put a tool in someone's hands but knowing how to use it is the key. If this can make our jobs a bit easier diagnosing hard to determine signal paths then these kind of become the modern day Fluke 9010 and ABI Boardmaster. I've offered my support to both projects in various ways. Hope I can help somehow. so when you taking my money? Sorry if im slow getting back with PMs, had a few! Will answer later on, however quickly looking though them there are a few questions raised so prob best to put the answers on here. 1) Can an external display be added. The unit runs under Linux and is using a Pi3 to do the user stuff. As a result of this there is an hdmi connector and switching between the LCD and hdmi is simple. Instuctions will be given on this. Note that as its a Pi3, wifi and bluetooth are built in so full internet access is available plus all the usual Pi features. The tester is a app thats simply run. 2) Does it give live updates on logic pins. The answer is yes. The A.D.T , or Active Device Testing takes effectively a snapshot of the chip under test and graphically displays them. Stored truth tables are then applied to determine if it passes or fails. Stuck pins are detected by change of state. Pins tied to ground or 5V clearly will show as their state but pins which should change and dont will be shown too. Also i forgot to add before that theres also a basic voltmeter which is enabled when the probe is switched to audio. Nothing major but it will measure most supplies DC on the board. In theory this should be able to be programmed to test LS244/245/373 etc in circuit. I hate the idea of compile-in for this kind of thing, are device definitions going to be in some folder somewhere so we can all contribute? Just give us a big enough clip lead and we're sorted. Another thought depending on what's driving this- if there's enough grunt available in the CPU then it could easily also be a logic analyser. Looks like a great bit of kit. Well done for pulling this together. Thanks for all the comments guys. Im going to start taking orders for the first batch soon. Will update this soon with details for anyone thats interested. Couple of points, the CPU is a 1.2GHz quad core processor in the Pi and a microcontroller in the Arduino. 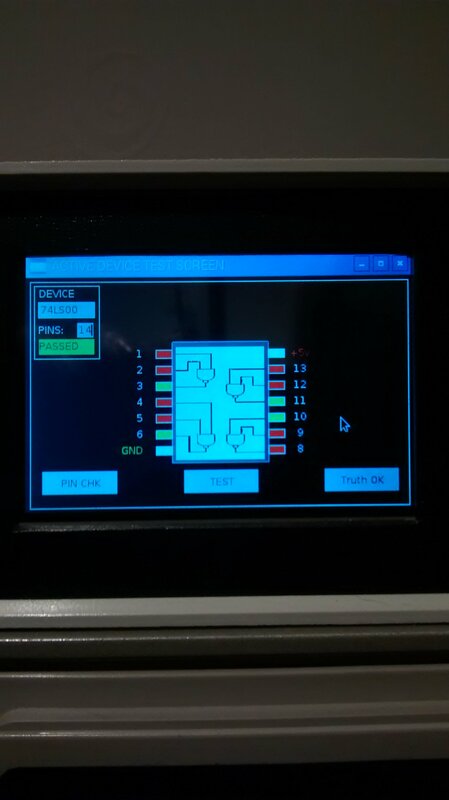 A logic analyser would be possible by adding some addition circuitry. The problem is that the arduino would not be able to aquire the data fast enough. I have thought on this and have a idea how to do it however its a future add on at the moment. The files that the tester creates for a device can be viewed and edited by most txt editors. New ones can be created manually by comparing the truth tables. The sofware will be compiled on the testers however the arduino accepts a variety of low level commands so there is no reason why stand alone unique tests cant be written. These could be ulitimately added to the main tester program in time. A full list of the arduino commands will be given in the manual. Another update to this saga! Sorry its taken so long, just been busy with work and also had been ironing out some small issues with this tester. On top of that Ive designed a PCB set for it and improved some of the tests. So I have decided to offer them for sale now to anybody that would like one. Functional Tester as described in earlier posts. External device test pod allowing most devices up to 20pins to be checked. Pre loaded with system software and data files. Note this tester will learn states so the data files will increase during use. 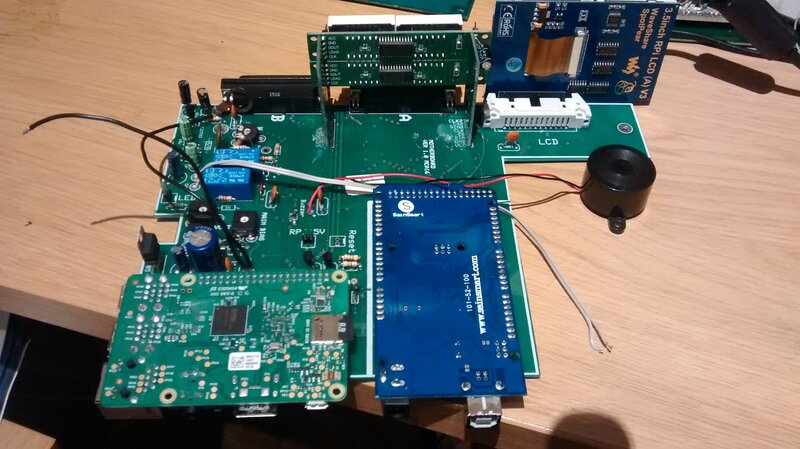 The Spec of the tester is based on a Pi 3 and fitted with internal 16Gb memory card. The cost will also include free updates of software as and when I have them. Full 16bit address bus which can be set to any address. 8 bit bi directional data bus, again can be set to specific data value or read as input. Probe input using 50R BNC allowing full logic probe functions. Not only will it display the three states of the probe input but duty cycle is also displayed when available. Probe can set to analogue and then it will display voltage input and also engage a built in amplifier so audio faults can be traced. Test programs can be generated and stored then called back and run. This allows a known good board to be probed at determined points and the values stored. If the test is re-run on a faulty board of the same type, then it can help identify faults faster. The Active device tester feature will test any device up to 20pins while still on the PCB and powered up. 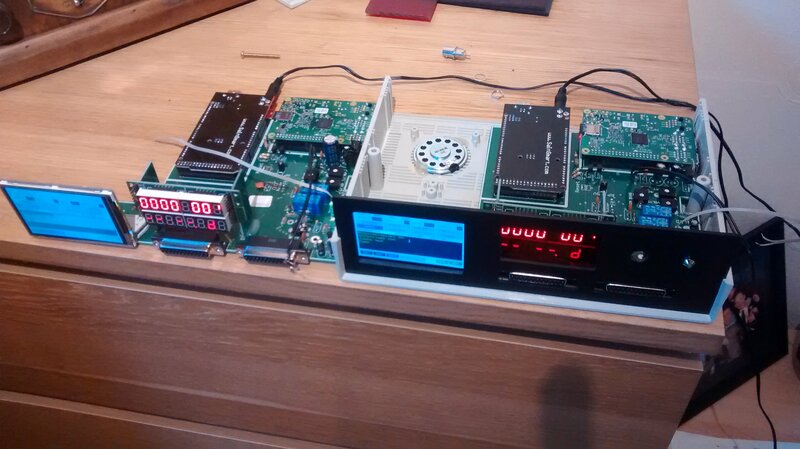 The board will still function mostly while the tester is clipped over a device to test. A snapshot of the pins will be taken and then compared to stored tables. Either pass will be displayed or fail. The tester is self learning so if a device fails and it checks out to be fine, the data can be saved so it passes next time. Stuck pins can be checked as well which will show up any pins that dont change state plus another test checks for two adjacent pins that change state together. This can help identify for shorted pins etc. All results are displayed graphically on the screen which can either be on the 3.5" colour touch screen or any hdmi external monitor. Switchable by simply commands. The tester is designed to help in the debug of PCBS and can allow faster fault finding however it must be noted that all results it gives should be checked against schematics and prior knowledge. Priced at £390 all in. This will be the unit built,tested and shipped to any UK address. Im going to take orders for the first batch starting now and will stop on 1st August. This then gives me numbers for PCBs to get made etc. Come the 2nd August I will order materials and hopefully start sending units out by 15th. I will be needing a deposit for this so £130 is required up front. I will give you full contact details so you can see its all genuine. Thats basically it, if you fancy one of these testers, drop me a PM and I can put you on the first batch. Are there any plans Mark to increase the number of supported CPU's? Would the logic tests include anything bi-directional? Hi. 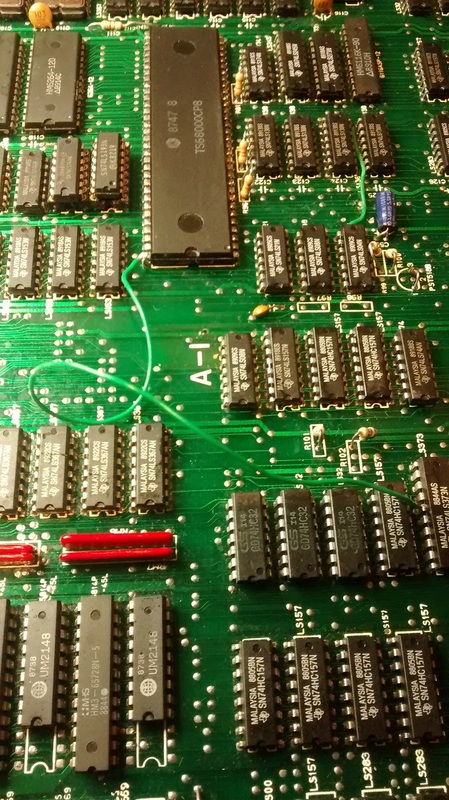 There are plans to add other 8 Bit processors to it. I just havent got round to doing them yet. The logic tests will work with LS245 etc. I am working on these atm but basically it will sample 20 pins and apply stored tables so theoretically most devices that will fit the test clip should be possible. Note only devices that work at 5V will be supported. Just a quick reminder that im taking orders for the first batch of testers until end of month if anybody is interested. The project is deffinately a long term thing as Im using it already so will be improving it all time. Anyone that buys one of these will get a tester in a case plus professional PCBS made up. Free software updates will be made once changes and additions are added. 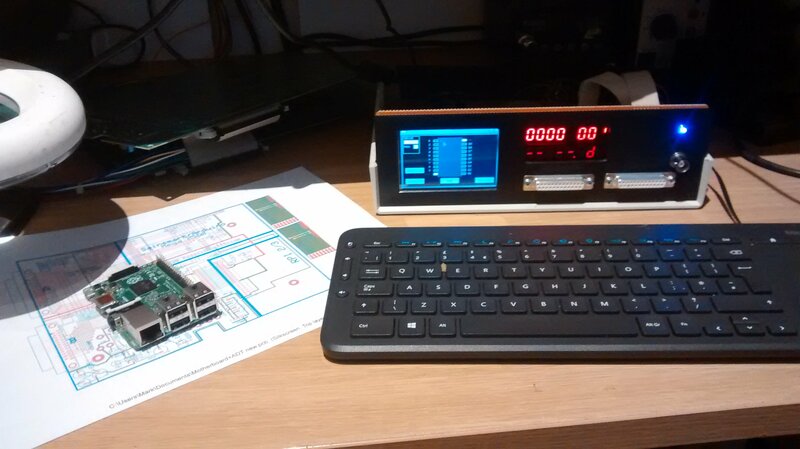 I have plans for an eprom programmer in pipeline plus more. Also I am open to suggestions and any additions that fellow members feel are needed should be able to add as there is plenty of memory left to use. Im taking orders at the moment then the cut off will be end of month as materials will be ordered for the first batch. Any required after that will be placed in the next batch. 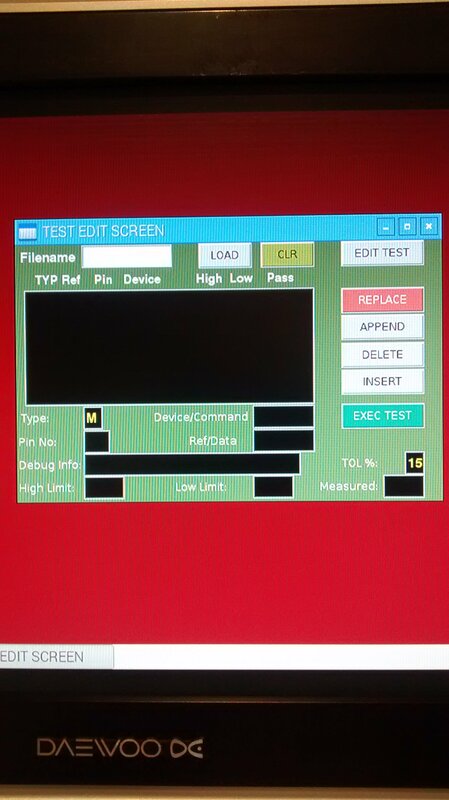 This is a tester that Im hoping will be a standard piece of hardware for anyone repairing and debugging PCBS. My knowledge both in manufacturing and design over the years is getting put into this so rest assured it will be not a knocked up hobby box. No problems. I will drop you a PM later on tonight to take details etc. I'm very interested in this - it looks great and well done! I'm personally new to fixing PCBs but am watching with interest. To entice people like me, could I suggest you consider making Youtube videos of the kit in action? If it is as powerful as it sounds, videos of it in action will surely inspire quite a few other people on here and elsewhere to join-in. Hey good idea Stuart. Didnt really think of that however Im not a great one for cameras lol There will be an instruction manual sent with each one so hopefully this will provide enough info for both the novice and the pro. I will say that even though it is easyish to use, some knowledge of electronics is required to apply the results. It should be regarded as a tool to help debug boards. Yes, I feel the same - this arcade hobby probably doesn't attract camera-confident types. lol. I'm still learning but am getting there and will definitely keep an eye on this. Will the manual be available as a PDF for everyone to browse? hey keep at it... we all started like this. I would like to be able to reprogram coin mechs as well. There doesn't seem to be much documentation available on these. Credit boards? Far too much hassle for very little demand. Keep to the basics, pcb diagnostics. Expanding the types CPU, but also, take the mame dat crcs (per cpu), create your own dat files so that the device can autodetect the game based on a memory map read. 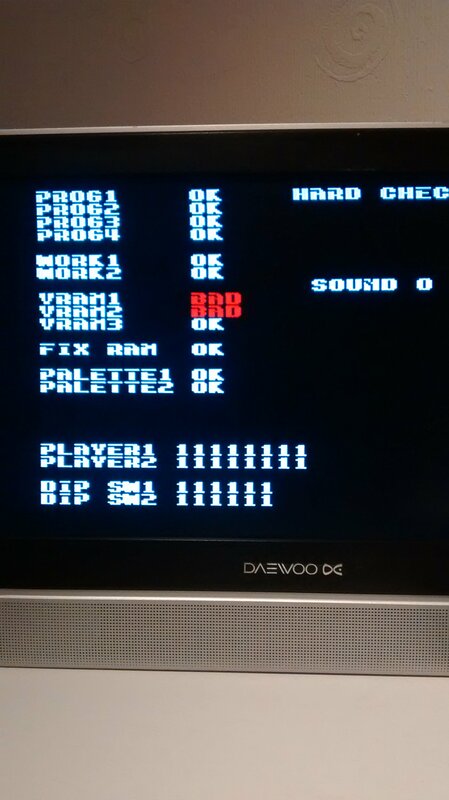 For example, say you have a Z80 game (starts at address x0), have an option of "auto", it then reads in the first 64k, and will automatically detect the game from mame info. What i've done with my arduino mega is, for each Z80 game, I have created a dat file with the crc for EVERY 1k of EVERY game, which means the auto detect will still work even if certain eproms are corrupt. So basically you are reading the full 64K byte memory map of a Z80 starting at 0000h then comparing it to mame files? Boards will get ordered either tonight or tomorrow evening after work. Approx 2 weeks after that I will start making testers up for ones that have ordered. I will be ordering a few spare so if anybody still wants one, there I can include before taking orders for next batch. Also can all deposits be paid in next few days as materials need to be bought. The PCBS have now been finalised and sent to get made. Approx 2 weeks. After that I will start building them up and should ship not long after. 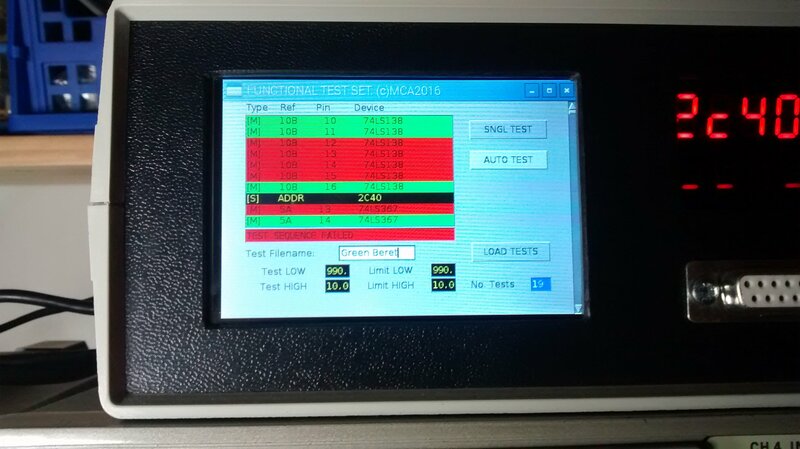 While I have been waiting for PCBS to get made, I have spent some time adding a few more things to this tester. These will be included in the testers from now on. By using a simple cable to link up to the processor socket on the board, full address and data control was always possible however I have now added some extra goodies! If any of the boards eproms are read fully into the tester, it will create a .BIN file which is compatible with minipro programmers etc. Not only that it will then generate a CRC32 value and then search all of the MAME files for a match and report the game and device etc. If its not in the list, an option is given to add it in for next time. 2) When a memory dump is done, the tester will now generate a .TXT file so this can be pulled into word or whatever and printed out etc. 3) 6502 support. 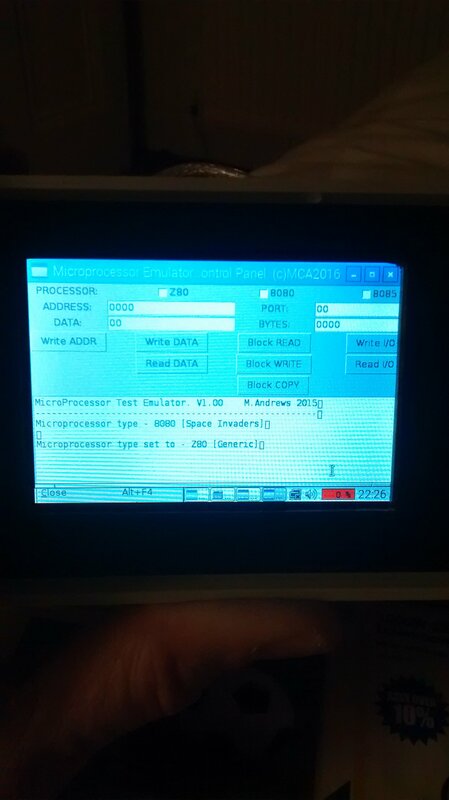 Has been implemented and should work but as I have no 6502 boards, I cant test this atm. Any of the microprocessor signals can now be traced on the board simply by typing a command in with the pin required. 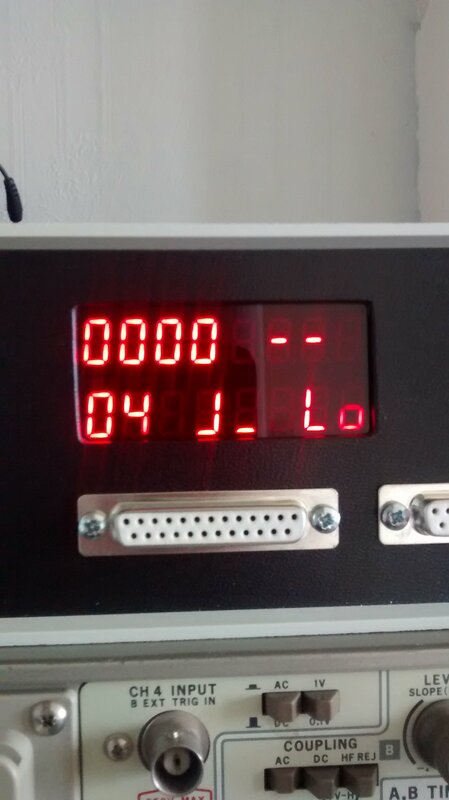 The tester uses a digital signature method so is accurate and also wont be affected by random digital signals on the board. Works with the board powered up or off. There are a few other improvements made and hopefully the guys that have bought one will see them soon. BTW I have ordered a few spare boards so if anybody else is looking for one, then PM me. Testers are now getting built!! PCBS arrived yesterday and look damn good even though I say it myself. Started to build up the first batch and get the manual finished off. Apologies for any delays in this however I'm sure you will all be pleased with the end result.
. Full address and data bus control using a simple cable to hook up to the processor socket. Details will be given on this.
. 8080, 6502, Z80 basic emulation to allow roms to be read etc.
.	CRC generation and cross checking with all MAME files so board identification can be done.
.	Operator/TEST screen to allow boards to be tested. A TXT file is created of the debug information including fail values etc.
.	Logic probe built in which also displays duty cycle and also signal shape.
. Audio tracing using built in amplifier. All done using same Active Probe.
. Basic DC voltmeter measuring up to 100VDC in two ranges. I now have debugged and improved the software so its very stable and easy to use. More features will follow after these testers have been built such as eprom programmer supporting 2708 and 2716 devices. Plus more. I also have some spare PCB sets so if anybody still wants one, then PM me as a few more can be made. After that I will take orders for the next batch and more PCBS will need to be made. This is yours mate! The first production one. Now running well. Any chance of implementing GAL programming ? I have now fixed all the teething problems with the testers and they are running tests well. Some more pictures of the ones getting built. I still have a few spare board sets so if anybody else wants one, please get in touch. The first one will be sent this week coming. Its a possibility. I have plans to make an eprom programmer for this too which will handle 2708,2716 and 2732 devices amongst others so it is something I can look at too but tbh not had much experience of GALS so might need a little tech stuff from you on this. PAL programming as also possible too. Ya I'm sold on one. PM Sent. I'm new here, having just found this forum while searching for a TTL chip tester.. :-) Do you have any of those testers left, and are you shipping to the USA? Also, what kind of probes/connectors are you shipping with those? Also.. Here was my idea on what I would have tried, if I hadn't stumbled upon yours: I was looking for a tester that I could use a chip clip to go on top of while the board was powered up, and it would passively monitor the inputs and outputs and either identify the chip, or have me tell it what it is (ie: 7408 vs 74138, etc) and then based on the knowledge of what pins do what, just monitor to make sure the outputs are correct for the type of chip. 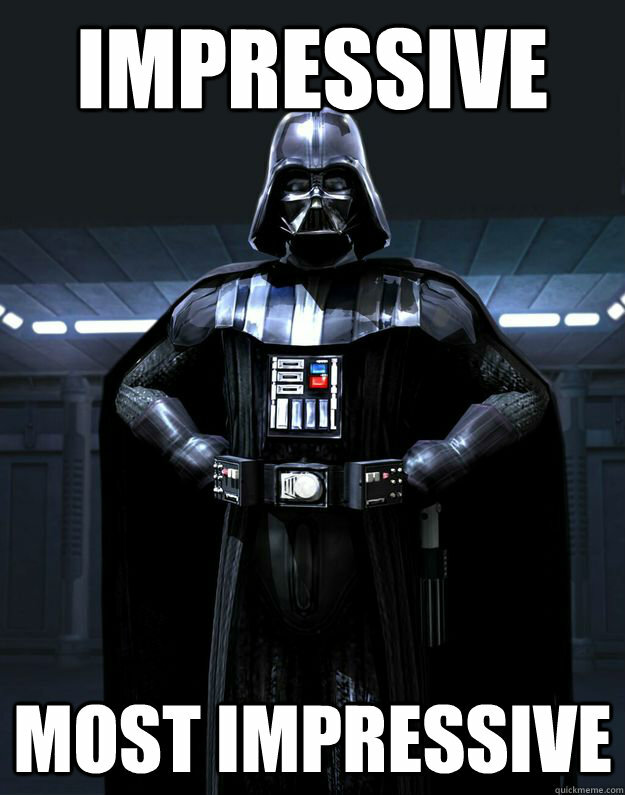 Does your tester do this type of test, or treat the situation similarly? Thanks.. looks like you've built an amazing device!! Hey Steve you have pretty much described my ADT add on for the tester. This is one feature only of the tester. 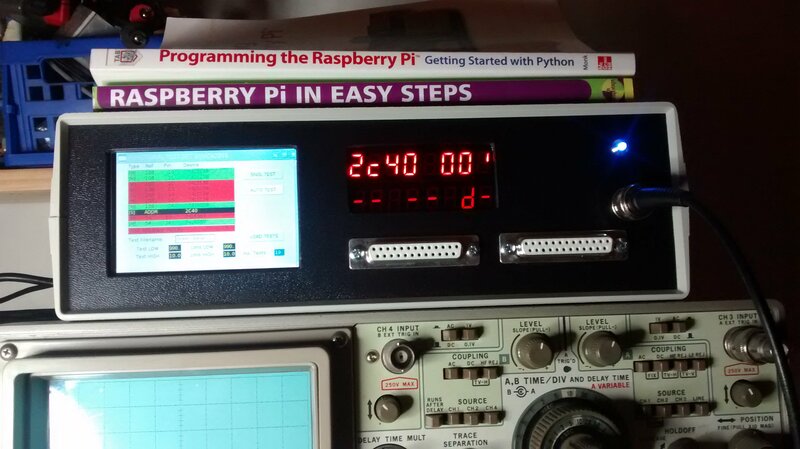 You simply clip the test clip over the device (7408...etc) while the board is powered up and tell the tester the device name. It will then graphically show the device and if it passes or not. There are some more functions it will do, such as identify stuck pins or shorted pins. It is also self learning. The tester comes with a psu, manual, software disk (pre loaded) and the ADT add on. The PSU is for UK so you prob will need a different one but it is a 9V DC supply. I can probably send to USA though cost might be more due to shipment. I will drop you a PM tomorrow to discuss more. Have ordered one, looking forward to receiving it and having a play. Interested in buying G05-802 parts, thanks. Tester number 2 is now almost done! Number 5 mate. Ye see if you can get a glimpse at Eric's..
You might get yours before I have time to do anything with it mate. Gotta say looks lovely and well built, can't wait (but will have to ) to have a proper sit down with this and see what it can do. Thanks mate, much appreciated!! Will email manual soon to you. Only recently read through this topic, but I have to agree it looks like an amazing bit of kit. 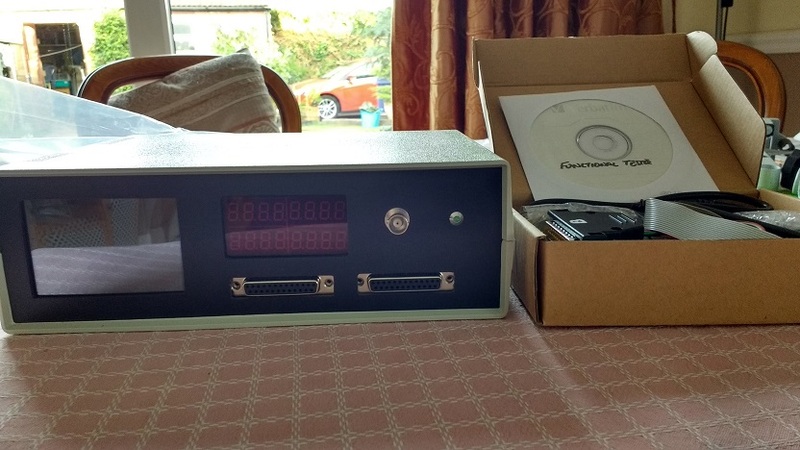 Have you thought about approaching any of the well-known test kit manufacturers to see if they're interested in producing it on a larger scale as it's not just arcade repairs where it could be used? Not as yet mate. It has been designed primarily for arcade 8bit systems but it probably can be used on other things too. If it takes off then I will have to look at ways to speed up the build since they are labour intensive atm. Ive used my DFM and production knowledge to the full in these so I can reproduce them reasonably quick but its all dependant on volume. There were a few PCB faults (nothing major) on the first rev, so working on a new rev of board which will improve production for me. Will have to get more boards anyhow as all the first batch have now sold, not even managed to keep a set for myself so Im still using my flung together proto! Who knows mate... could be in future you will see Agilent or something on the front! "There were a few PCB faults (nothing major) on the first rev,"
Chicken and the egg scenario, great work, be interested to see one working in a video and diagnosing a board. I fully intend on putting this to the test in a repair log when i get it. Absolutely, a nice demo/tutorial would be a great idea. Even a quick video going over the attachments included, etc.. just a quick walkthru of the hardware would be great..
Super thanks Andrew, you are saving a lot of equipment with your great work. Much appreciate all the comments guys! anyhow due to poplar demand Im now uploading some videos. I say some as my camera is out the ark and has limited memory and battery capacity so this is taking bloody ages. Hopefully they will be live soon and you can all laugh as im never going to be a YouTube sensation lol. The first three videos will be an introduction to its basic stuff then I will do videos on in depth stuff too.